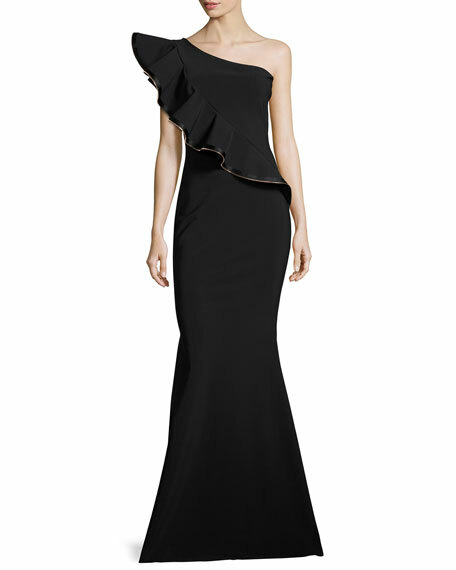 La Petite Robe di Chiara Boni "Nene" evening gown in signature stretch-jersey. 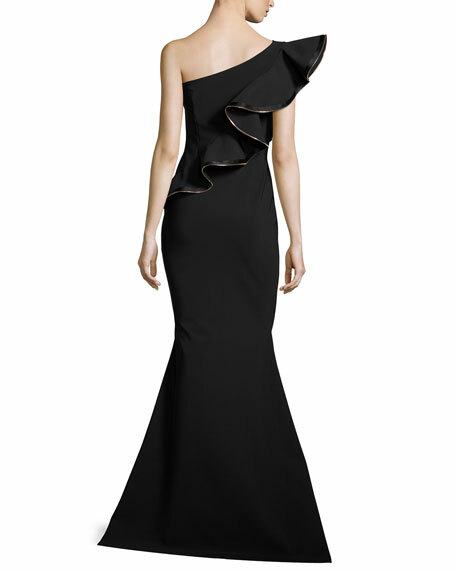 Sculptural ruffle with zipper trim. For in-store inquiries, use sku #2316502.